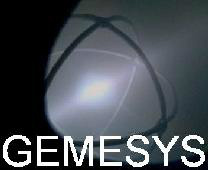 Gemesys Ltd. - Research & Analysis - Contact Info. GEMESYS Ltd. is a technology-focused management consultancy, which provides research and analysis services. We are based near Waterloo, in Ontario, Canada. We conduct research into several areas and phenomenon with a view to the determination of scientific accuracy and economic feasibility. At present, we are developing some "Helper-AI" machines to assist with the investment process, and with other economics-driven agency efforts. This is an area that modern behavioural economics has clearly shown to be quite problematic for even intelligent human beings to navigate successfully. Loss-aversion keeps investors sidelined when they should engage, and the seductive fraud of "hope" ensures they typically retain losing positions long after wisdom would dictate they disengage. One of the early successes of neural-networks was predicting applicant loan-loss likelyhood for bank loan-officers. Other tools, such as automated portfolio construction have been equally successful. With the increased availability of large, accurate datasets, we believe that this big-data, linked with "Helper AI's" will become a commonplace technology in the next decade. We have long had a focus on research and product development in this area. We also do direct economic analysis, and business evaluations. A recent project was a technology-focused due-diligence exercise for an investor group, to ascertain the viability and scalability of a small software-as-a-service startup enterprise. That project involved the construction, in our lab, of a prototype Ruby-on-Rails webserver on a CentOS Linux box, to assess the operational characteristics of the Rails and NodeJS server technologies, in conjunction with modern and legacy web-based access methods. A technology due-diligence of this sort is one example of the market-driven, technology-focused research and analysis work that we carry out. In the example just detailed, the investor group subsequently made the investment. We also have carried out investigations of technology companies, and produced research reports for distribution to private client groups, where our client was an Investment Bank. Other projects have focused on addressing and resolving specific technical and economic problems within organizations, both private-sector and government. If you have a critical issue, a tight deadline, and the project requires someone with advanced knowledge in areas of both economics and technology, perhaps we should talk. - Mark Langdon, Senior Consultant & Director, GEMESYS Ltd.